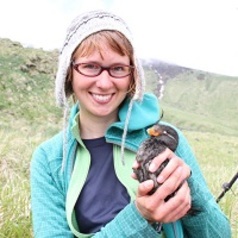 I am a postdoctoral research fellow at Colorado State University, looking at the effects of anthropogenic noise on wildlife in National Parks and protected areas around the US. I’m interested in the connection between conservation biology and acoustic ecology, while striving to provide research that informs conservation and restoration management. My projects focus on examining impacts from oil and gas development and how animals and soundscapes recover from anthropogenic noise, as well as exploring the impact of noise on wildlife and visitor experience within US National Parks.